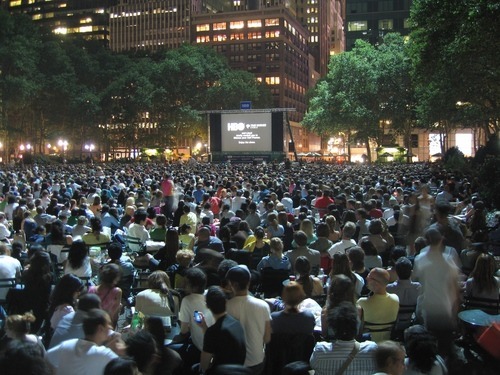 It’s the moment you’ve all been waiting for, the unveiling of this year’s movies in the HBO Bryant Park Summer Film Festival. Now that you’ve checked out the line up, hop over to our Facebook page at facebook.com/bryantparknyc and enter to win reserved seating for two at one of this summer’s films in Bryant Park. Just leave a comment on our Facebook wall mentioning which film you’re most excited to see at the park and you’ll be entered to win. The contest will close at noon on Monday, May 10, so make sure to enter this weekend. Can i use this image for our social media content material? Hi, MUFKI - please email us at bpweb@urbanmgt.com and we can discuss photo usage. Thanks!